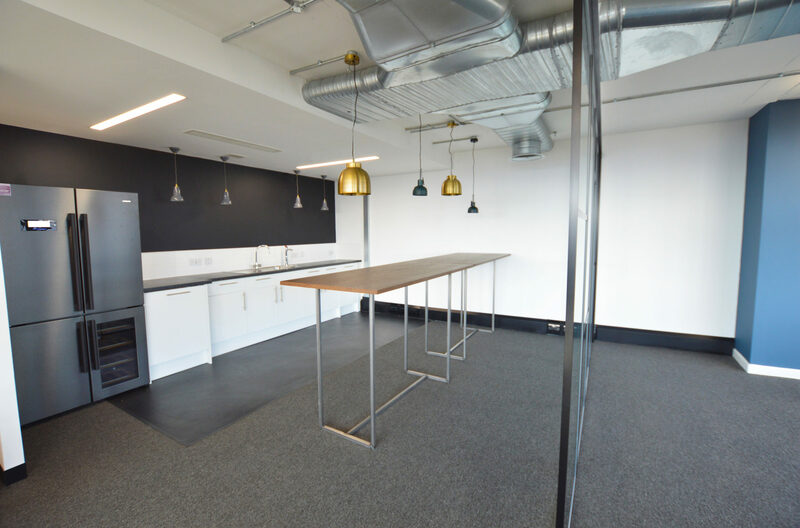 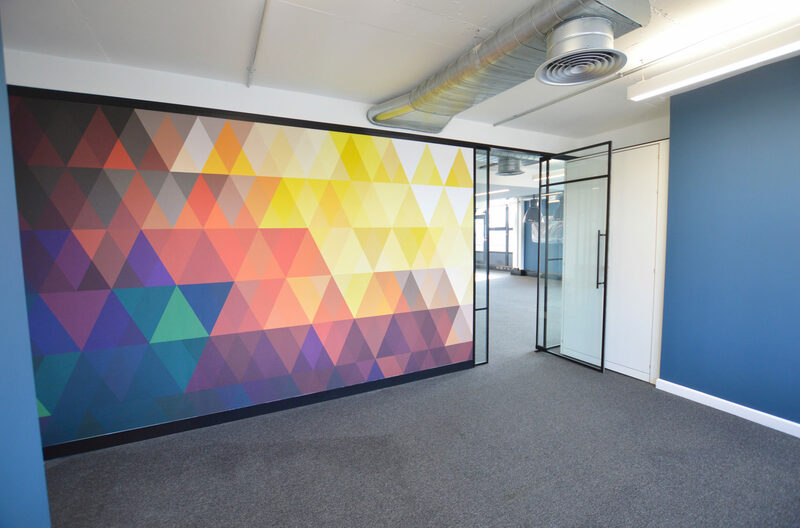 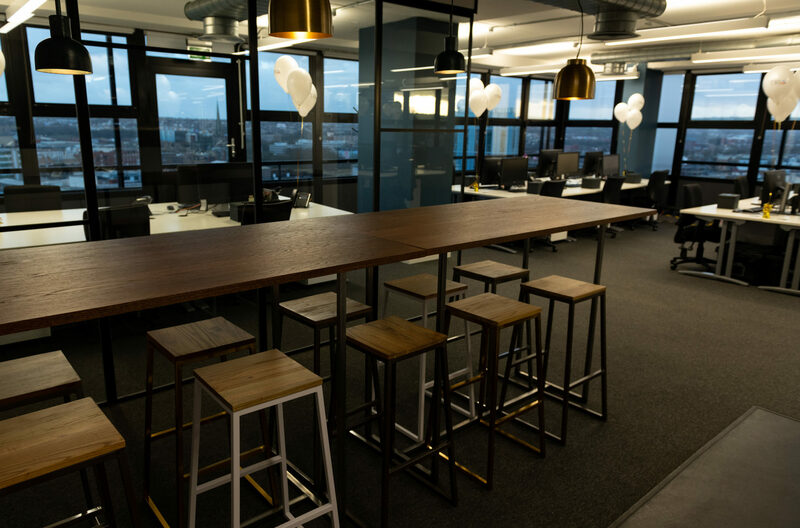 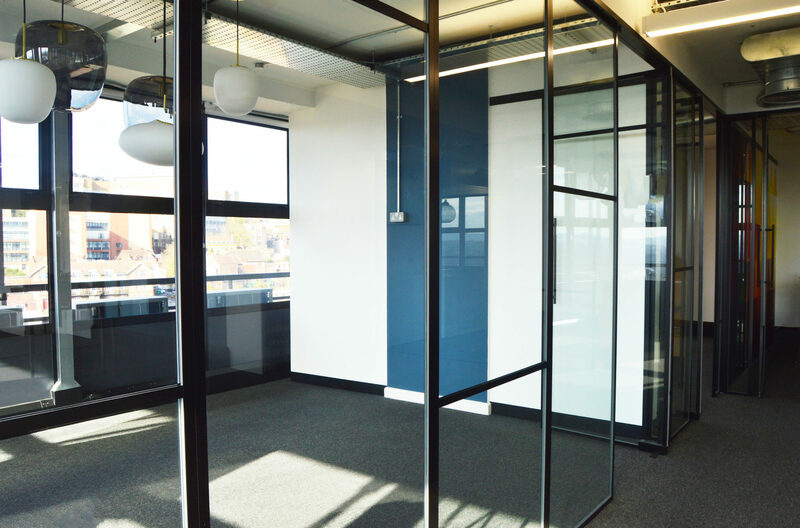 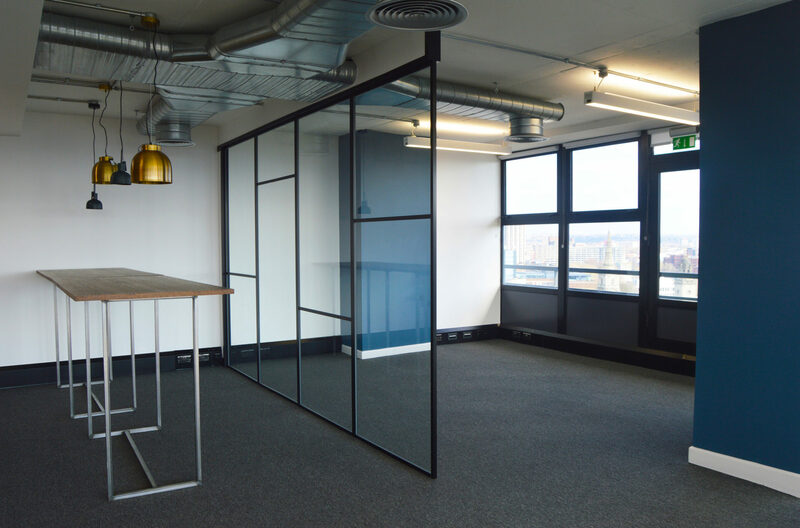 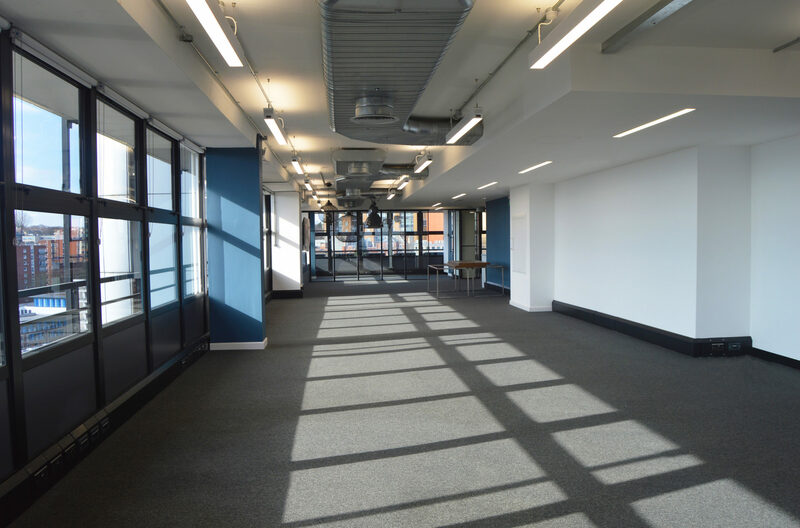 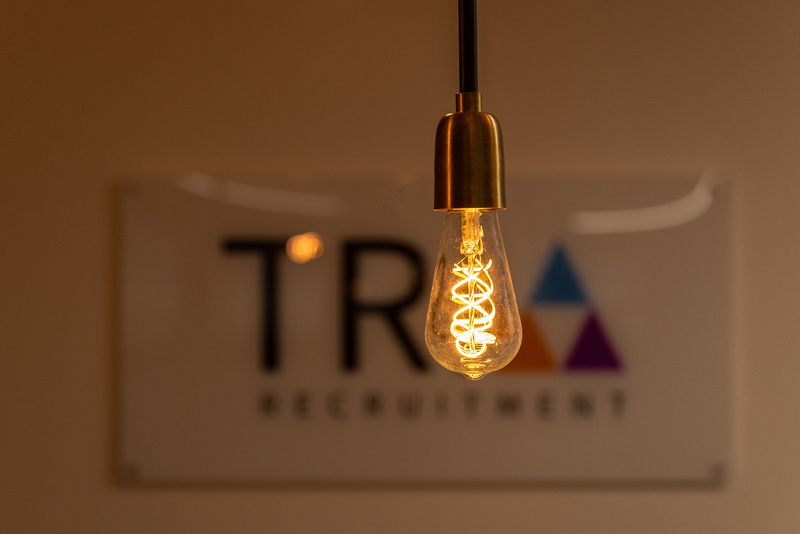 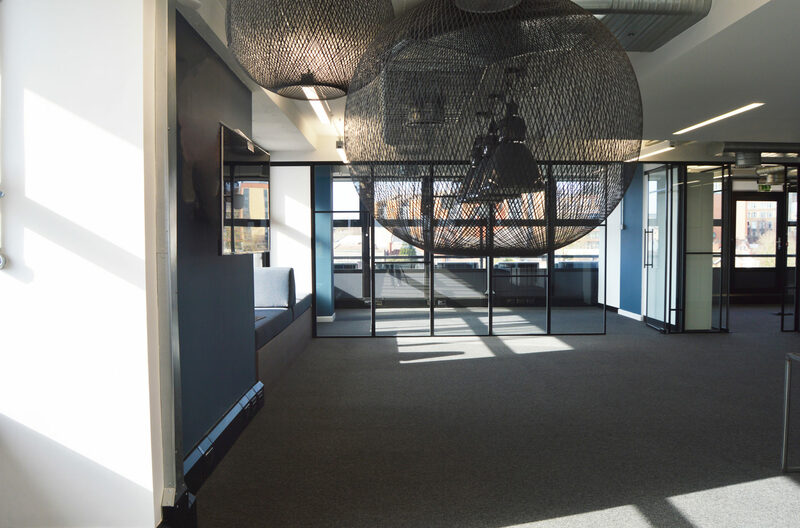 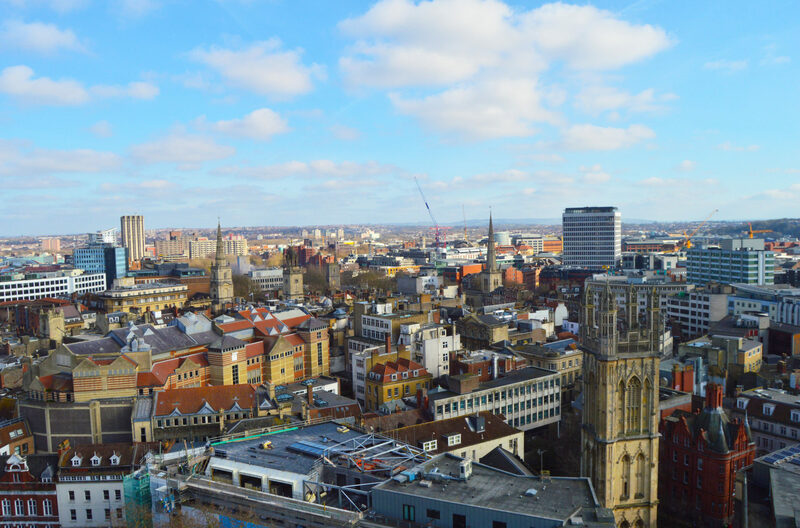 TRIA Recruitment’s development and increased workforce meant that they had outgrown their existing space in the heart of Bristol and had targeted the prestigious Colston Tower as the perfect location for their new office. 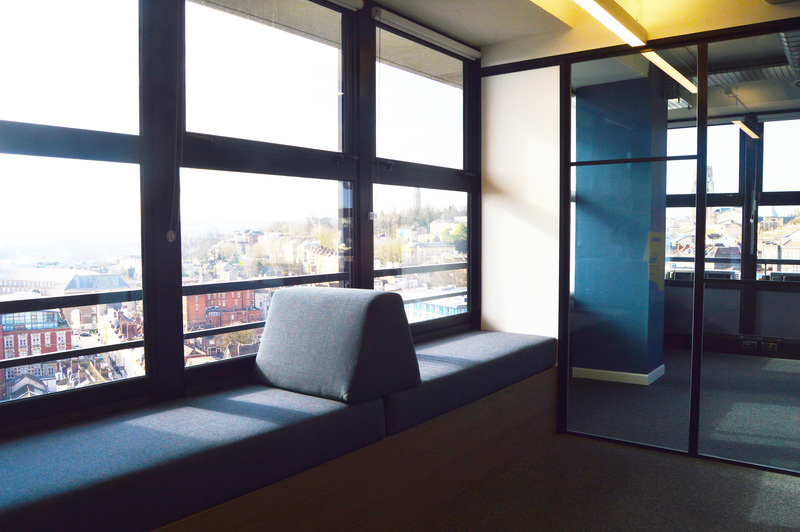 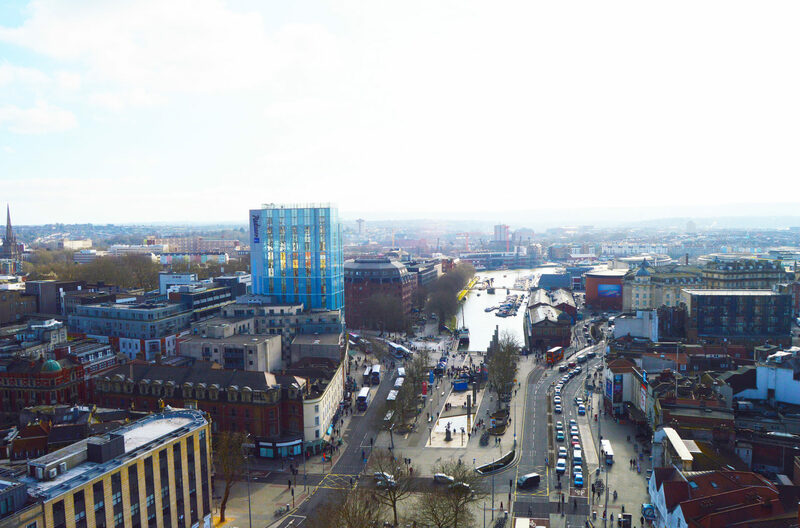 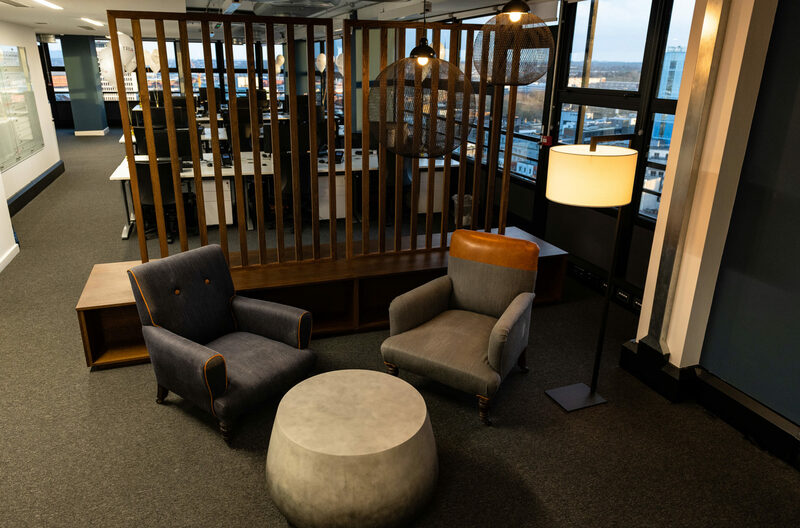 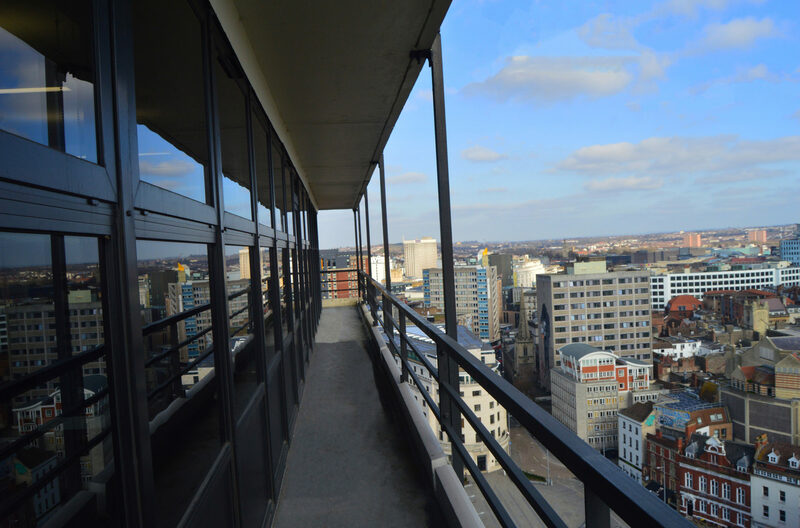 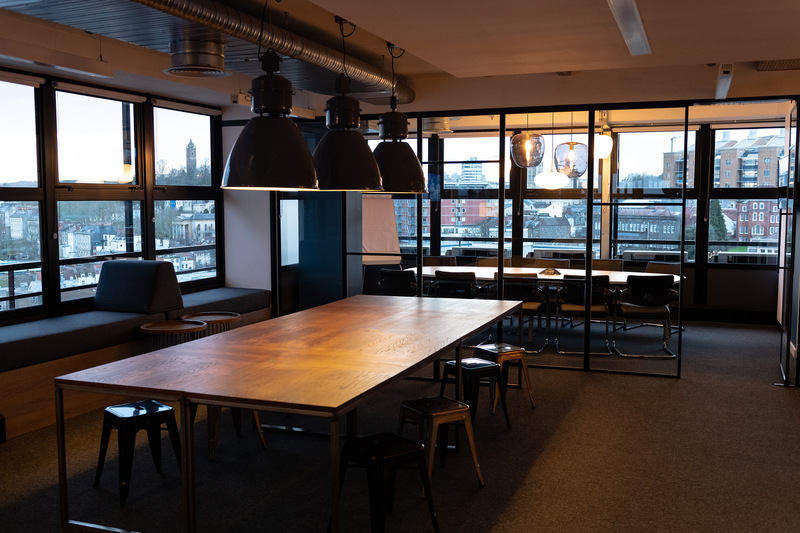 Located on the 14th Floor their new office offered enough space for the new and existing members of staff as well as some incredible panoramic views of Bristol including the harbourside and City centre. 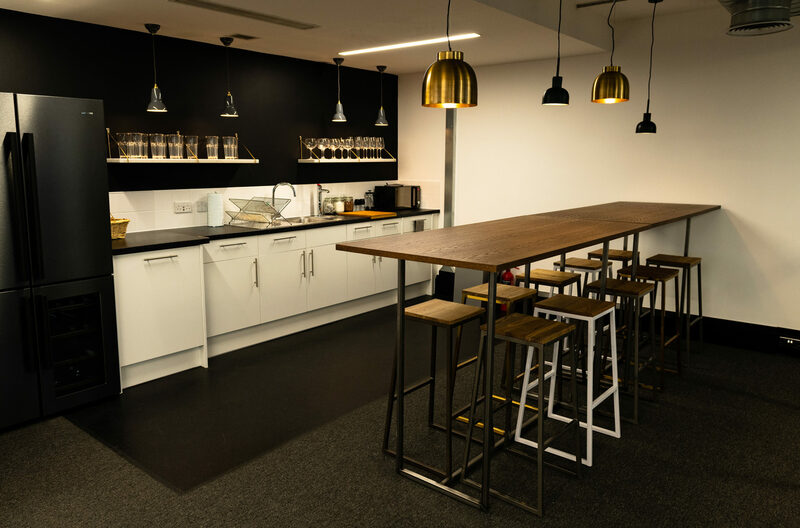 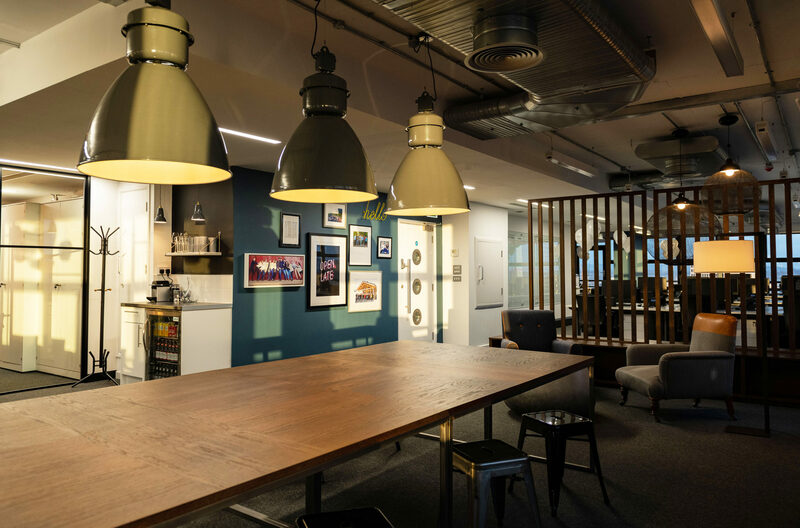 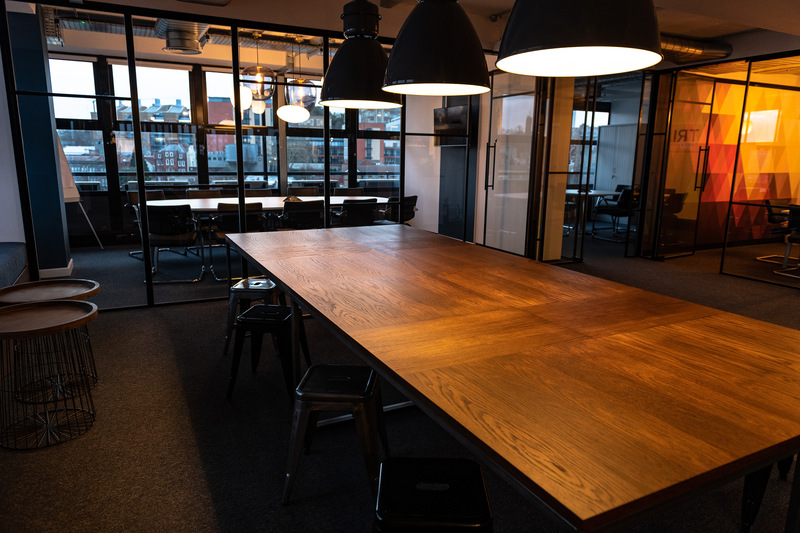 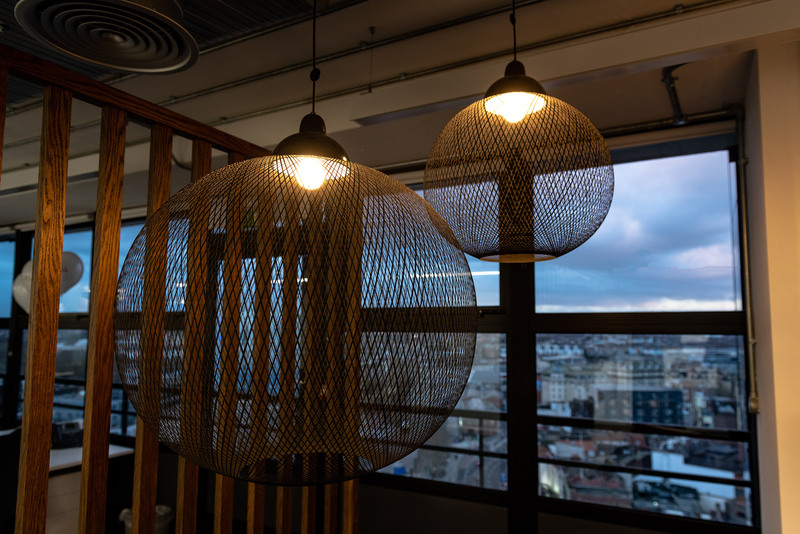 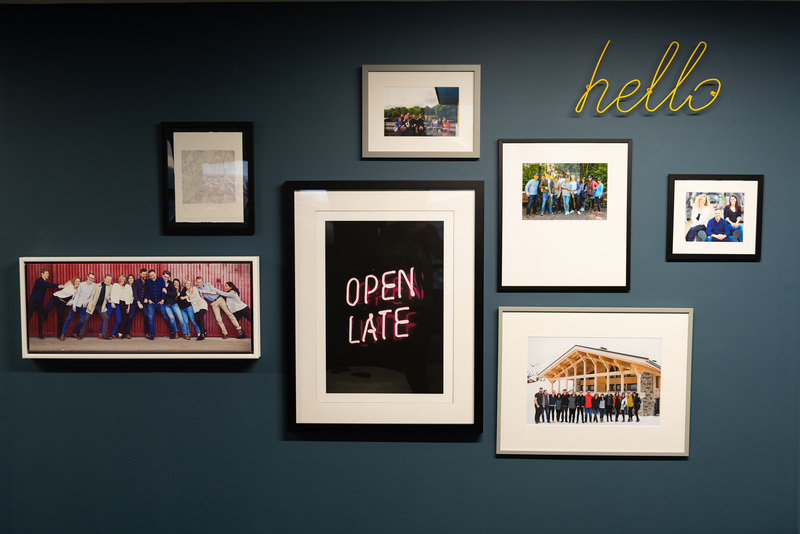 This design incorporated some stylish feature pendants to create an interesting feature over the new meeting table area, as well as over the breakout space in the newly fitted kitchen. 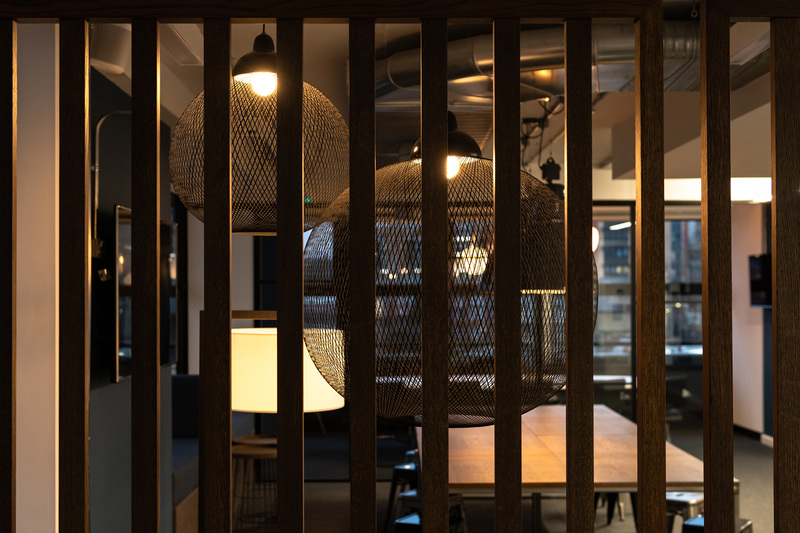 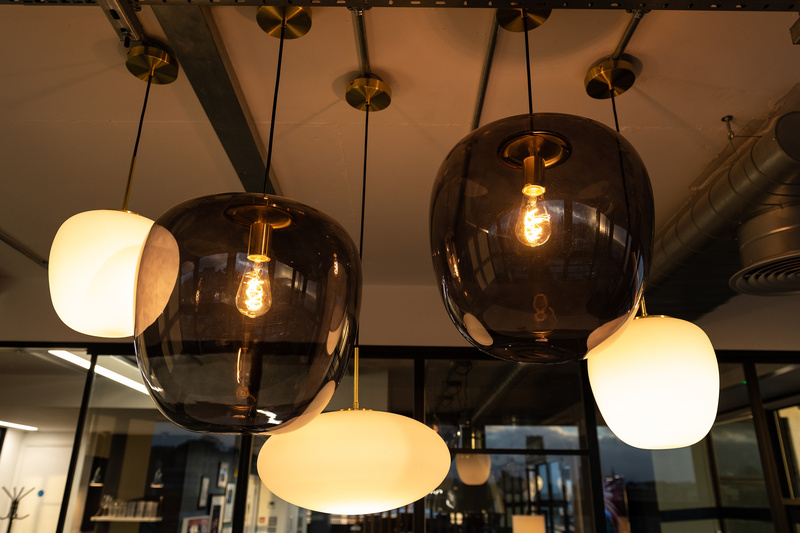 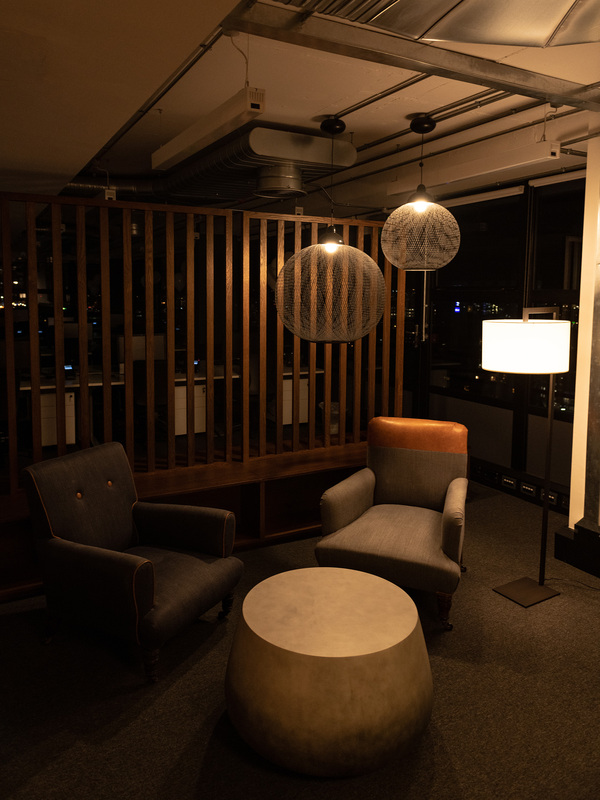 Feature lighting plays a key role in the design of this space, our experts installed all lighting throughout the space ensuring that all pendants were hung at the required height to match the original concept that helped create the atmosphere that the client was looking for.